The 2016 7DRL Challenge is coming! Vote now for the dates for the 12th 7DRL Challenge. Let’s make cool games this year! Official results of 2015 7DRL Challenge! The 2015 7DRL Challenge is almost here! US roguelikers may also be interested in the upcoming International Roguelike Development Conference being held in Atlanta, Georgia, on May 30-31. This is the first time IRDC has been held outside Europe. There will also be a UK-based conference later in the year. 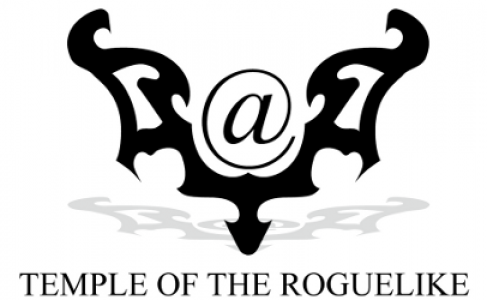 When the challenge begins a registration page will be available at http://7drl.roguetemple.com/. It took almost a year to tabulate and publish the results, but they are now available here. Remember you can also check the detailed reviews at the International Roguelike Registration System, which will soon be activated for the 2015 challenge and evaluation. The 7DRL Challenge 2015 has been announced! We are set for the eleventh annual 7DRL Challenge. GET READY! The challenge will run March 7 to March 15, you are invited to take part and create a roguelike game in 7 days, starting from whatever you want but producing a new, complete, playable game at the end of the week! The 7DRL challenge breathes new life every year into the roguelike development community, last year we had 248 challengers, don’t miss this opportunity! In 2005, the roguelike community established a yearly event, the 7DRL Challenge, in which all the world is challenged to create a roguelike in a one-week span. Challengers may use the International Roguelike Registration System to accept the challenge once it starts; you can also check the reviews for last year entries here! It’s been ages since the Orange October Minigun 7DRL Challenge, back when the roguelike renaissance was just beginning. That challenge was joined by not many participants, however it was the inception of Kornel Kisielewicz’s Berserk!, was joined by DarkGod (of ToME fame) and had several interesting entries. It’s about time we do another 7DRL Challenge before our main March event! But why play a battle alone, when we can join the war? PROCJAM 2014 is happening next November 7, and I suggest we swarm over it like a band of rabid jackals. Make a game with procedural generation in it. Maybe a Twine adventure with randomised character personalities? Maybe an action-RPG where each player gets their own procedural theme tune? Maybe an old-fashioned world-generator for a strategy game? Create a game for #procjam using the optional theme (announced at the start of the jam) and include a procedural twist in there somewhere. Make a tool that generates stuff to help game developers. We already have amazing tools like sound effect generator SFXR, music generation like Abundant Music, or random sprite-grabbers like Spritely. What other tools could we make to help people generate cool things for the games they make? Maybe a corporation generator for cyberpunk cities? A tool for generating alien alphabet fonts? A library that automatically generates enemy ships for space shooters? I thus challenge you all to create a roguelike in 7 days, just along with the PROCJAM’14! Let’s have a lot of fun! Usual 7DRL Challenge rules apply, so read them.